Nestled under one of the city's many bridges, Shooters Island attracts romantic souls with its old-time atmosphere, shaded green lawns, and scenic views of the old town. Often compared to Venice, the island owes its name to longbow and crossbow shooters who used to train here in the 15th century. In the 19th century, the island witnessed a busy social life filled with balls, concerts, and cabaret performances. Today, visitors come for the many cultural events, including open-air theater screenings, concerts, and free parties. A park covers most of the island, but the north bank boasts a small beach from which you can watch swans or go paddleboarding. 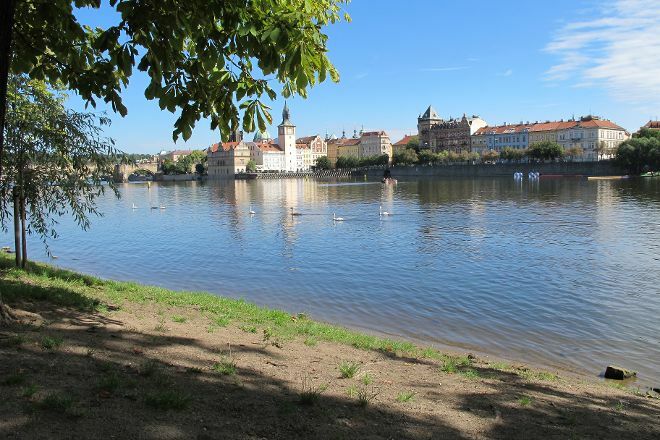 Plan to see Shooters Island and other attractions that appeal to you using our Prague online travel planner . I adored this island as a place of relaxation after the daily visits. 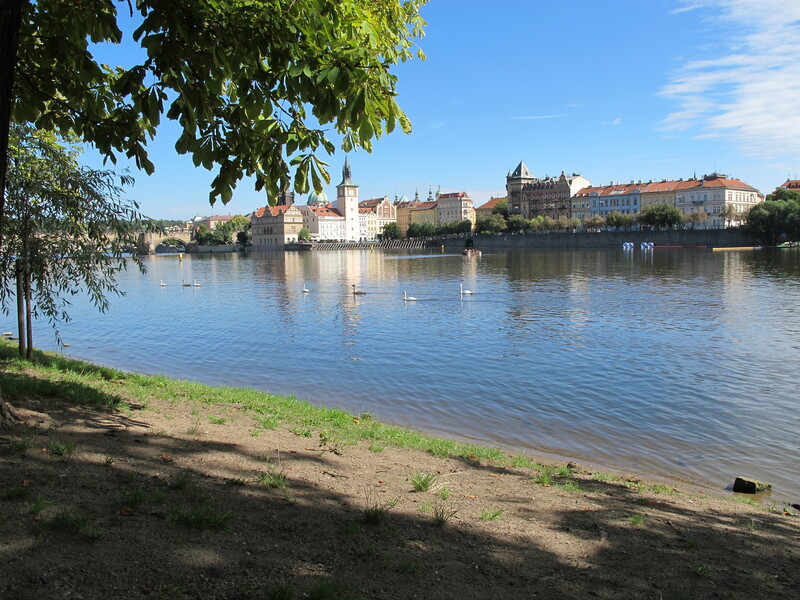 It is especially the fact that it is in the middle of the River, there are many benches and you may even get on the grass to relax. C was a barge on the side with a beer garden open which also offered the hour live dj set appetizer, beer at €2 and view of the Charles Bridge. D summer really enjoyable. During our visit to Prague we and his wife stopped here as well. This is an ideal place to relax. I recommend to take a snack, spread out on the shore and uživať it. A beautiful place with a panorama of parádnou, serenity, and here-there's some kind of kačičkou and ľabuťou. There's a lot of trees, so that even in the greatest heat is on this fantastic island. If you need a break from walking and horka in Prague, so be sure to stop by here. Every day, we help thousands of travelers plan great vacations. Here are some tips on how to use your Listing Page to attract more travelers to your business - Shooters Island. Promote your permanent link - https://www.inspirock.com/czech-republic/prague/shooters-island-a592186481 - on your website, your blog, and social media. When a traveler builds a plan from this page, the itinerary automatically includes Shooters Island. This is a great way for travelers looking for a great vacation in your city or country to also experience Shooters Island. Promoting your link also lets your audience know that you are featured on a rapidly growing travel site. In addition, the more this page is used, the more we will promote Shooters Island to other Inspirock users. For best results, use the customized Trip Planning Widget for Shooters Island on your website. It has all the advantages mentioned above, plus users to your site can conveniently access it directly on your site. Visitors to your site will appreciate you offering them help with planning their vacation. Setting this up takes just a few minutes - Click here for instructions.